Something we all do could cause you and your family to get food poisoning. We all know that you should wash fruit and veggies to prevent tummy aches from bacteria, but I bet you didn’t know it makes a difference how you store items in your fridge. For one thing, veggies and fruits should always go in the drawers. 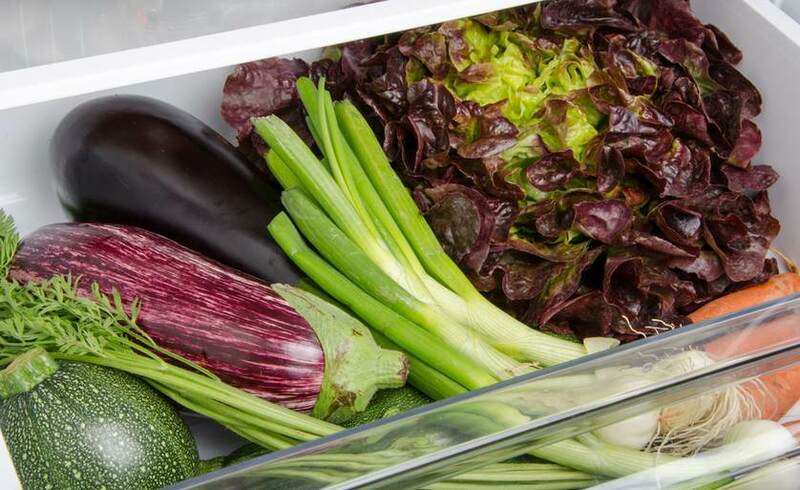 Popularly known as “the crisper,” this area of the fridge is specially-designed to keep delicate fibers safe from the colder parts of the fridge, while reducing the chance of mold. Sometimes, a fridge has another drawer near the bottom. This area should be used for items that need to be kept very cold, such as meat and cheese. Leftovers should be stored in the main part of the fridge, preferably on the upper shelves near the front (for easy access). The fridge doors aren’t as cool as the other parts of the fridge, so it’s best to store only condiments such as ketchup, mustard, dipping sauces, and salad dressings in that space. Go to the next page to see what you should never, ever put in your fridge door. 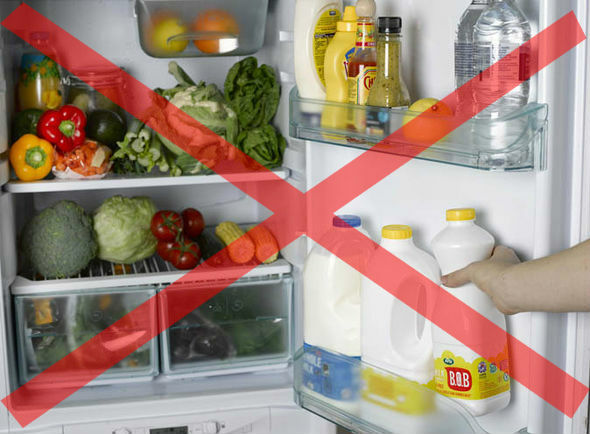 If you keep milk in your fridge door, you need to stop doing it right now. Most of us do this because it’s convenient to grab the milk jug out of the door compartment instead of moving half a dozen items on one of the shelves. Plus, milk fits perfectly in the large space in the door. That means you may already have milk in your fridge that’s gone bad. Yuck! Was this helpful? Let us know in the comments!